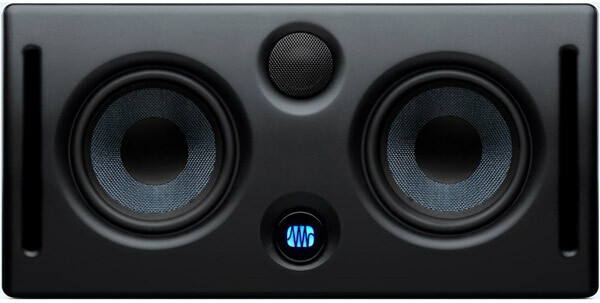 Presonus Eris E44 - ( Pair ) With a single silk-dome tweeter positioned between two woofers, Eris E44 monitors create a large sonic sweet spot with smooth on- and off-axis response which will help you make better mix decisions. With their acoustic tuning controls to compensate for proximity to walls or corners, these monitors will sound great in just about any room. Whether you position them vertically or horizontally, Presonus Eris E44 powered monitors are outstanding in their class. The Eris E44 is designed with its 1.25" high-frequency tweeter between two 4.5" Kevlar drivers for low- and mid-frequencies. The Kevlar drivers run in parallel and cover the same frequency range. PreSonus explains that this gives the Eris E44 improved off-axis response and spatial resolution. You can expect highly detailed sound that won't fall apart when you move your head a few inches away from your mix position. We've helped design countless studios here at Sweetwater, and we know that room anomalies and bass buildup are big challenges in small mixing spaces. Even if you're forced to put your Eris E44 monitors close to a wall or corner, acoustic tuning controls on the rear panel will help reduce muddiness and smeared stereo imaging. PreSonus designed the Eris E44 to serve up accurate sound and wide stereo imaging, whether you set them up vertically or horizontally. Whichever orientation works best for your studio, you can expect true sound from Eris E44 monitors.